Nice mod, but the abundance of HQ units in Poland has me confused a bit. Any tips on what to do with those? Also, how do, you get the Poland scenario to end? There were no visible win conditions so after eliminating all Polish units and capturing every available flag I still get no end. The AI suddenly spamming loads of units around that one last victory hex like it's Christmas every turn. Topic: Questions for the Devs about the game and DLC coming. Re: Questions for the Devs about the game and DLC coming. Topic: Poll: How much video memory does your graphics card have? Figured as much. Then again, it's the biggest, most up to date source of information which also shows trends, so you might have a use for it if the small sample of responses on here shows similarities. Rudankort, are you familiar with this http://store.steampowered.com/hwsurvey? Topic: Wishlist/Fixes for Sanctus Reach - Devs, check it out. Re: Wishlist/Fixes for Sanctus Reach - Devs, check it out. 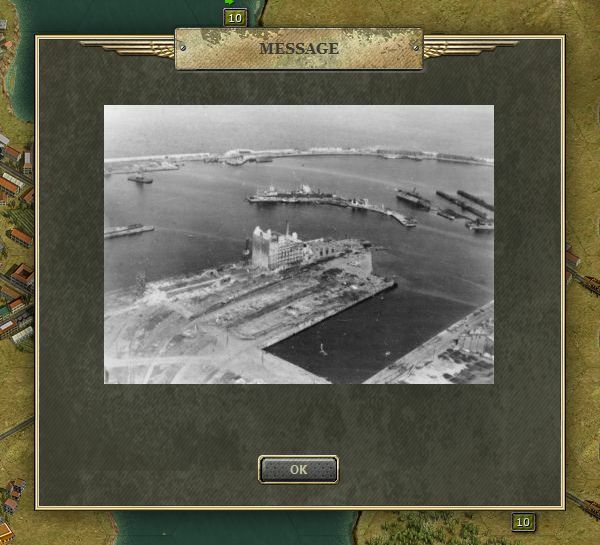 The Tallinn scenario shows a message without text on turn 5. Possible bug with the mini campaign: at the end of turn 20 of the first map I hold all victory hexes and have 8 auxiliary units at the A hexes, yet still get a marginal victory. My guess is that when the new instructions arrive halfway through the scenario, the DV conditions aren't updated. Topic: Panzer Corps Gold GC prestige bug? Re: Panzer Corps Gold GC prestige bug? Ugh, now I remember installing nikivdd's patch to allow going from sealion to GC east. No doubt this is what's bugging the GC east 43 start as it was no doubt changed to only look for sealion core army saves Yup, replacing the pzdat file did the trick. Panzer Corps Gold GC prestige bug? Well it's surely enjoyable, but you're right to want to make it more challenging. In the 1.7 game I stopped shuttling troops to the front around turn 60 and still won on turn 70. Upgrading your front line troops does the trick better, I even had 10K+ prestige left I didn't know how to spend. I recognize the map from the eastern DLC campaign, but judging from those nice looking skins on the units there's an additional mod involved. Shouldn't be too hard to mod these "cheat" stats in.